An upgrade of the original Optimus 3D, the LG Optimus 3D Max is LG's second attempt to bring 3D to the masses with an interesting and powerful smartphone with some clever tricks up its sleeve. The problem that LG has is that customers are staying away from 3D phones in droves. The old Optimus 3D ranks at number 259 for SIM-free phones on Amazon.co.uk, way behind the rival HTC EVO 3D which ranks at a modest 80th place. When you consider that the Optimus 3D is being outsold by the six year old Sony Ericsson K800 then you can see just how little impact 3D has had so far. 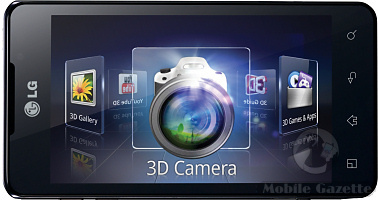 LG have rethought the Optimus 3D, and the Optimus 3D Max comes with some interesting features, such as the ability to view Google Earth and Google Maps in 3D with a built-in converter. As with the previous Optimus 3D, the Max can capture 3D photos and video which makes it an effective way to generate your own 3D content. The display is a 4.3" 480 x 800 pixel glasses-free 3D touchscreen. Inside is a dual-core 1.2GHz processor with 1GB of RAM and 8GB of internal flash memory. The Optimus 3D Max has an HDMI port, supports NFC communications and this is an HSPA+ capable device, giving a maximum download speed of up to 21Mbps if your carrier supports it. All the usual Android features are here including WiFi, DLNA, USB connectivity, Bluetooth and GPS. Inside is a relatively large 1520 mAh battery, and the LG Optimus Max is 9.6mm thick and weighs 148 grams. In addition, the Optimus 3D Max can use the LG Tag+ system to alter its behaviour depending on location - these are NFC tags that you place in the vicinity of the device, although we can't imagine that these will be very popular. 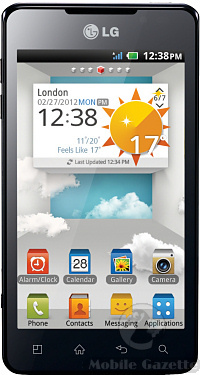 Out of the box, the LG Optimus 3D Max will run Android 2.3 with an upgrade to Android 4.0 promised "shortly after the launch". The Optimus 3D Max will start shipping in Korea in March followed by European and other markets some time after that. We don't know how much the Optimus 3D Max will cost, but the current slightly less powerful original Optimus 3D retails for around €330 SIM-free.